ProSource® of Milwaukee offers a broad variety of kitchen remodel products that will make all your client’s kitchen dreams come true. Our team of experts know that with the right tools and products, a kitchen remodel is a fun project for you and your client to tackle, which is why we offer high-quality brands at low wholesale prices. Our kitchen cabinets range in color, wood type, shape and material, ranging from solid wood to stainless steel to laminate. We can help you and your client choose kitchen cabinets that fit their personal style and, more importantly, their budget. 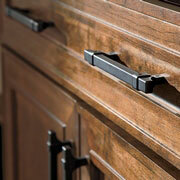 Choosing the right cabinet hardware for your client might seem like a straightforward task, but finding the right appliance pulls, end caps, hooks, knobs and usually more proves to be more difficult than you’d think. Our experts can help you find cabinet hardware that match your client’s kitchen color and size preference, so they can add the perfect final touches to their kitchen remodel project. Countertops don’t only serve a functional purpose in a kitchen, but they also are a great way to add personality and distinction. At ProSource of Milwaukee, we offer high-quality brands for our kitchen countertops, such as Dekton and SenSa, which can come in granite, quartz, or blended and recycled materials. 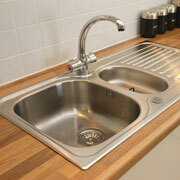 A sink isn’t just a sink, as some of your clients might suspect. Kitchen sinks come in different types, such as apron-front, standard and trough, and they come in different sizes and colors as well. 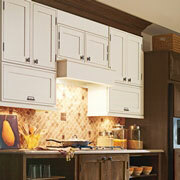 ProSource is proud to offer trusted brands like Kohler, among many others. These days, kitchen faucets come in all shapes, sizes and functionality. 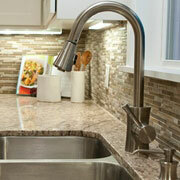 ProSource of Milwaukee has a variety of faucet styles, functions and colors that will complete any kitchen remodel. Stop by our showroom to find the right faucet for your client’s project, whether they’re simply wanting a standard faucet or a fancy, touchless one. 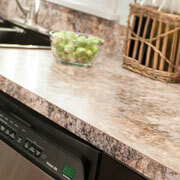 We serve throughout the Milwaukee, Wisconsin area. The ProSource of Milwaukee showroom is conveniently located in Milwaukee, Wisconsin and serves all of the neighboring cities including Adell, Allenton, Ashippun, Belgium, Brookfield, Brownsville, Burnett, Butler, Campbellsport, Cascade, Cedar Grove, Cedarburg, Clyman, Colgate, Delafield, Dousman, Eden, Elm Grove, Fredonia, Genesee Depot, Germantown, Grafton, Hartford, Hartland, Helenville, Horicon, Hubertus, Hustisford, Iron Ridge, Ixonia, Jackson, Juneau, Kewaskum, Lannon, Lebanon, Lomira, Mayville, Menomonee Falls, Mequon, Merton, Milwaukee, Nashotah, Neosho, New Berlin, Newburg, North Lake, Oakfield, Oconomowoc, Okauchee, Oostburg, Pewaukee, Port Washington, Random Lake, Richfield, Rubicon, Saukville, Slinger, Sullivan, Sussex, Theresa, Waldo, Wales, Watertown, Waukesha, Waupin, West Bend and Woodland.